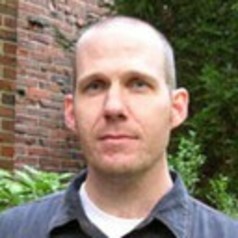 Jason C. Bivins is a professor in the Department of Philosophy and Religious Studies at North Carolina State University. He is the author of Religion of Fear: The Politics of Horror in Conservative Evangelicalism (Oxford University Press, 2008), which was a Choice Outstanding Academic title of 2008, and The Fracture of Good Order: Christian Antiliberalism and the Challenge to American Politics (University of North Carolina Press, 2003). Most recently, he is the author of Spirits Rejoice! : Jazz and American Religion, a study of the intersections of jazz and American religions in and across comparative themes/categories like ritual, community, and cosmology. The book has received both mainstream and academic coverage. It was named a Choice Outstanding Academic Title of 2015. He is currently working on his next monograph in political religions: Embattled Majority, a genealogy of the rhetoric of “religious bigotry” in conservative Christian politics since the 1960s and of the varied responses to such claims. He has also recorded "Thinking About Religion and Violence" for The Great Courses.